Here's part two of our Rock Band special: The arrival of the misspelled guitar. 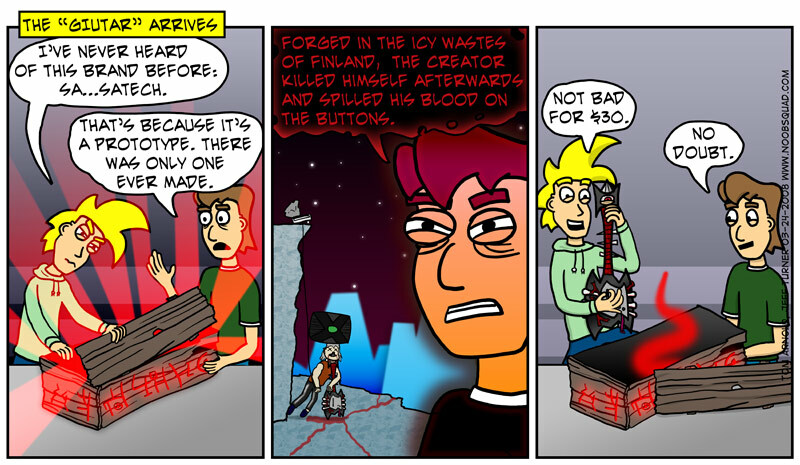 Incase you missed it, here's part one. With Rock Band and Smash Bros. Brawl, there’s probably enough multiplayer gaming for a year right there. Then Nintendo has to throw Mario Kart Wii into the mix. Normally I’d be all for another Mario Kart ASAP into my veins but I’d prefer a buffer between two of the biggest multiplayer offerings that Nintendo has. We’ve made a handy store page for our main shirt offerings which the N00b Swag link at the top of the site now goes to. Shirts are still ordered through CafePress, which is fine by me, but are now visible in one place. 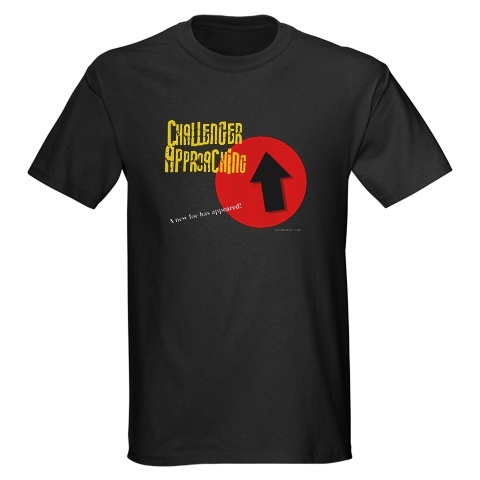 On the topic of shirts, I’d like to say thanks to everyone who supported us by getting the “Challenger Approaching” T-shirt. Perfect for Smash Bros. Brawl gatherings! Hope you all enjoy it and get the chance to shock 'n' awe (or is that smash 'n' trash?) the competition. For all those who want it, you can get the shirt here.